The other team band of soldiers with many colorful characters. 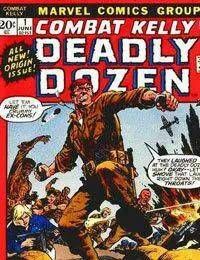 It was a team much like Nick Fury and his Howling Commandos. The two teams even teamed up some times. This series was however not as popular as Nick Furys team and was canceled after 9 issues.